Another great book in the War of the Roses series. 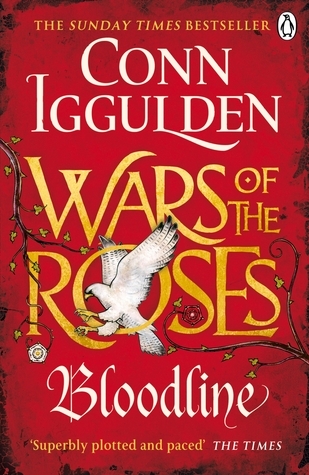 I’m not surprised really, Conn Iggulden is one of the best authors ever. You’re not just reading facts about true events from the past, you are there, fighting with Margaret of Anjou, Richard of York, Richard of Warwick, and my favourite character, Derry Brewer. In this book, I finally get to read the big battle of Towton. Of course, I wasn’t disappointed. I was on the edge of my seat even though I knew the outcome. I was really looking forward to finally seeing Elizabeth Woodville. I assumed she was a nice person who had no personal ambition of her own…how I was wrong. As soon as she became queen, her family bled into England like a disease. She might actually love Edward, but her actions let me to believe she is in it for herself and her family. I hope the next book we see a different side to her. One more book left in the series. I’m sad it will be the last, I really don’t want this series to finish. I think I’ll read another book in between, holding off the inevitable.